Also available on the Free Russia Foundation website here. involve civilian population highly versed in civil resistance strategies and tactics. 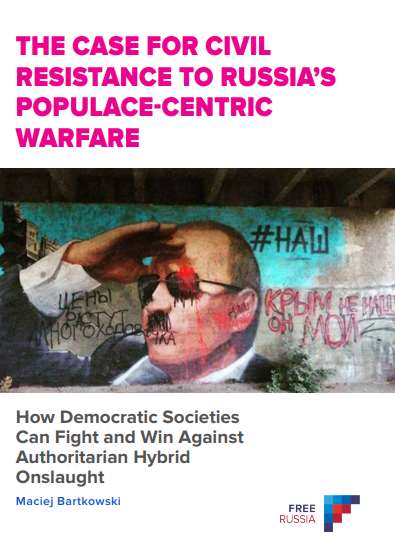 Key attributes of successful civil resistance that, in the past, made societies resilient and mobilized against authoritarian regimes are now indispensable for design and effective deployment of defensive and offensive strategies against the Kremlin’s efforts to bring down democracies.